Nothing is quite as it seems in this grim, brutal world twisted by magic. Monstrous creatures stalk the land while humanity are the unwitting pawns in a battle between the Nameless and The Deep Kings, ancient magical beings with untold power. Captain Ryhalt Galharrow and his band of bounty hunters are all that stands against annihilation, but will that be enough? Blackwing throws you into the deep end from the start. There are no lengthy info dumps or explanations, the weird, gritty world unfolds slowly through the eyes and experiences of Galharrow. At first it can be confusing, but as the story progresses things starts to make more sense. The worldbuilding is fascinating and reveals an uncanny depth and history as more detail is revealed. Told in the first person, the story follows Galharrow and his band of bounty hunters. 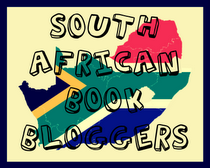 All the characters are flawed, scarred by the tragedies in their lives and the blood on their hands. It’s an unforgiving world, and it shows. The two female characters, Nenn and Ezabeth, are hard as nails and powerful in their own way. They don’t need to stand aside for their male counterparts and can handle themselves. While Nenn might be a supporting character, she steals the show. I would've loved to see far more of her. McDonald’s writing is gripping and fast-paced with some beautiful turns of phrase and keen observations on the human condition. On occasion some of the dialogue could be a bit jarring and since this is a grimdark novel, you have to come prepared for a lot of swearing (and I do mean lots!). The heart-wrenching conclusion comes with an unexpected twist that will leave you reeling. Blackwing is easily one of the most impressive debut novels I’ve read. If you like dark, gritty fantasy then Ed McDonald might just be your next favourite author. I’m hooked! 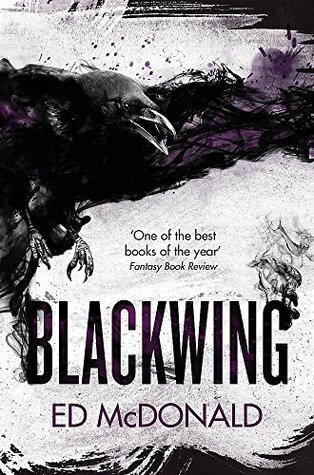 Blackwing is a wonderfully, grim and brutal read. The world feels lived-in, the characters are ruthless, scarred by their unforgiving environment, yet they still retain hope even when everything seems to be lost. I loved the blend of magic and technology and the fact that the magic comes at such great cost. The conclusion is heart-wrenching with an unexpected twist that will leave you reeling. A stunning debut by a new rising star in the world of grimdark fantasy. I can’t wait to see what Ed McDonald does next. Highly recommended!